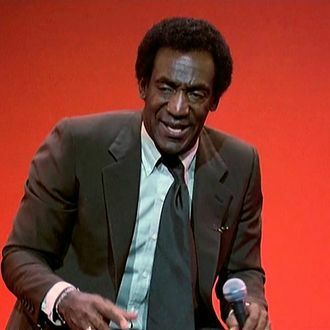 In 1983, Bill Cosby put out the stand-up film Bill Cosby: Himself. An instant classic that somehow feels completely fresh and relevant 30 years later. (If you haven’t seen it, the whole thing is on YouTube below.) Beyond that, it laid the groundwork for the cultural institution that was The Cosby Show. Well, it was announced today that Cosby will be releasing his first special since Himself on Comedy Central on November 24, 2013. Entitled Far From Finished, it was directed by another comedy icon Robert Townsend. Cosby has been very active over the last decade or so, touring the country and killing it on late-night shows, but this is the first time we’ll get to see a whole polished set from the legend. Kevin Hart, your “best stand-up special of the year” title is in serious jeopardy. Bill Cosby Is Releasing a New Stand-Up Special!